We’ve waited 32 years for the sequel to the beloved Top Gun, but we’ll have to wait 34 years until we actually get to watch Top Gun 2. Paramount Studios announced that Top Gun: Maverick will be delayed an entire year! 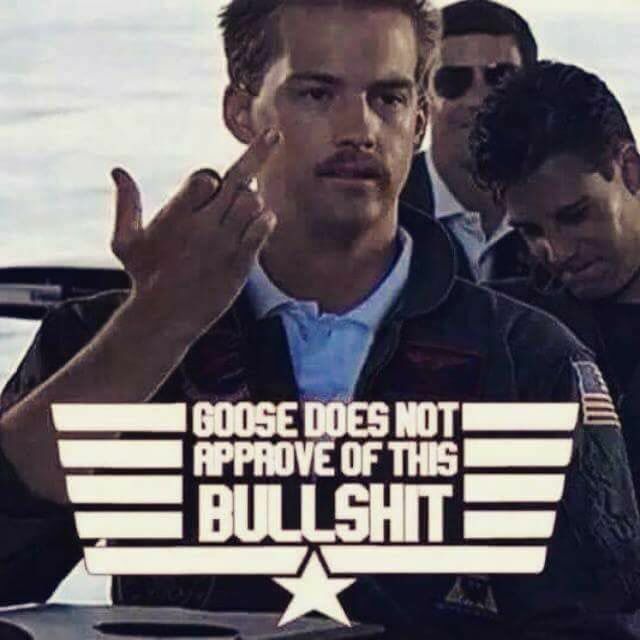 The highly anticipated Top Gun sequel was supposed to hit theaters in July of 2019. Sadly, Top Gun: Maverick has been delayed one year to June 26, 2020. That’s another year we have to wait to watch Maverick play shirtless volleyball. Paramount said the delay will provide filmmakers to work out the logistics of even more awesome flight sequences with new technology and planes. The movie’s star Tom Cruise will of course play Peter “Maverick” Mitchell, but this time he will be the flight instructor. He announced the start of production with this Instagram post last spring. Besides Cruise, the sequel will star Miles Teller as Radar Intercept Officer LTJG Nick “Goose” Bradshaw’s son (RIP Goose, gone but definitely not forgotten). Val Kilmer will return as Tom “Iceman” Kazansky. In more Top Gun news, the sequel added two big actors with Jon Hamm and Ed Harris on-board for the movie. Top Gun: Maverick also added actor Lewis Pullman, who is in The Strangers: Prey at Night, Battle of the Sexes, and Bad Times at the El Royale. I feel the need… the need to speed up time to get to June 26, 2020. Here is the official trailer for the original 1986 Top Gun.